If you sailed through your 20s and 30s without a skin care in the world, but now have the smile lines and character wrinkles to show for it, Juvéderm XC may be right for you. Depending on your area of concern, Juvéderm XC can be used to smooth away unwanted wrinkles and restore the natural contours of your face. Juvéderm XC (hyaluronic acid) is a smooth consistency gel dermal filler delivered via injection. It works to non-surgically and instantly restore your skin’s volume while smoothing away facial wrinkles and folds like your “smile lines” (nasolabial folds), upper lip wrinkles, as well as plumping the lips. How long does Juvéderm XC last? Juvéderm XC is FDA approved to last up to 1 year*. Touch-up and repeat injections are usually needed to maintain optimal corrections. What makes Juvéderm XC different from other fillers? The difference is a smooth consistency hyaluronic acid gel that flows easily into the skin and provides a natural look and feel. All other hyaluronic acid dermal fillers currently on the market are made of granular consistency gels. Unfortunately, the aging process doesn’t leave our lips alone. Volume loss can cause the lips to appear thinner and result in vertical lip lines that are difficult to hide with make-up. Juvéderm Ultra XC is a special formulation of Juvéderm XC that is excellent for injection into the lips to add plumpness and reduce vertical lines. Juvéderm Ultra XC is also an excellent filler option for patients who have always wanted fuller lips. Why Choose Juvéderm Ultra XC? While all Juvederm products are made from a smooth hyaluronic acid gel, Juvéderm Ultra XC has a thinner consistency that makes it ideal for filling in fine lines in the lips and providing a more natural looking and feeling lip augmentation. How much Juvéderm Ultra XC do I need? The actual amount of Juvéderm Ultra XC required for you will depend on various factors including your anatomy and goals. Individual results may vary. 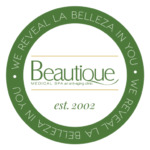 The service providers at Beautique Medical Spa in McAllen will work with you in your consultation to determine the best approach. Why choose Beautique Medical Spa for Juvéderm XC treatment? For natural-looking, predictable results and safe treatment with any injectable, a provider must have specific training, a thorough knowledge of facial anatomy and a keen eye for aesthetic balance. All our doctors and service provides bring years of surgical training and experience helping patients restore or improve their facial appearance through non-surgical facial rejuvenation treatments. As one of the first providers in the Rio Grande Valley, we are one of the oldest Medical Spas offering Juvederm Dermal Filler and Botox Cosmetic. How can I avoid bruising after injectable filler treatments? How can I find out more about Juvéderm Dermal Fillers? If you are interested in learning more about Juvéderm Dermal Fillers that we offer, please give our office a call. Our staff will be happy to schedule a personal consultation with one of our service providers to discuss your options.